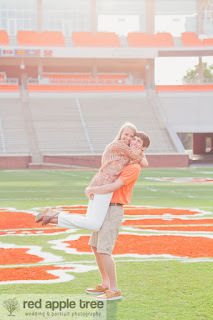 Happy Wedding Wednesday! 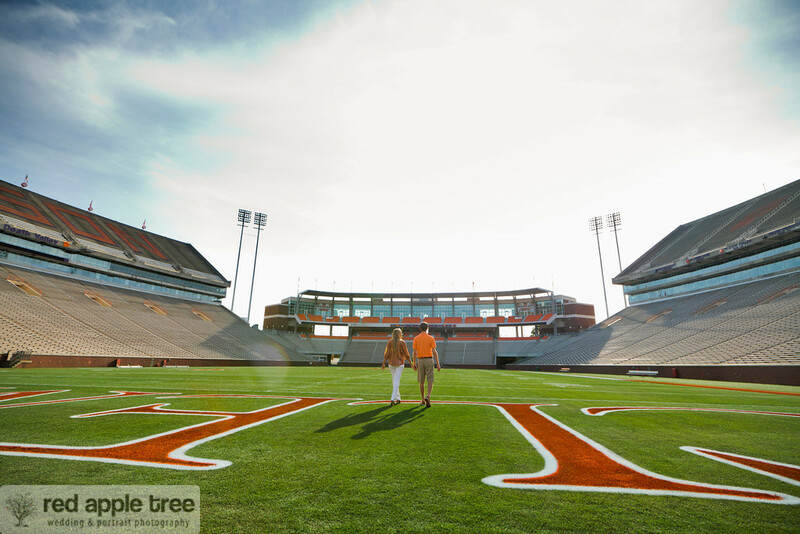 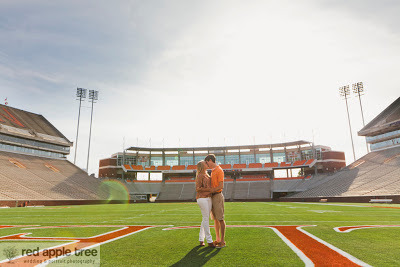 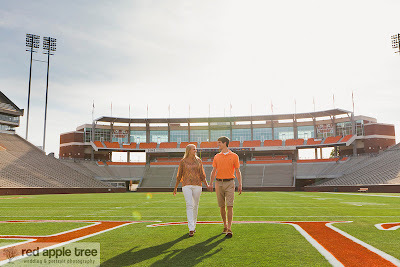 Prepare to block off some time for today's post - we have the most amazing Clemson engagement photos from the very talented and artistic Red Apple Tree Photography. 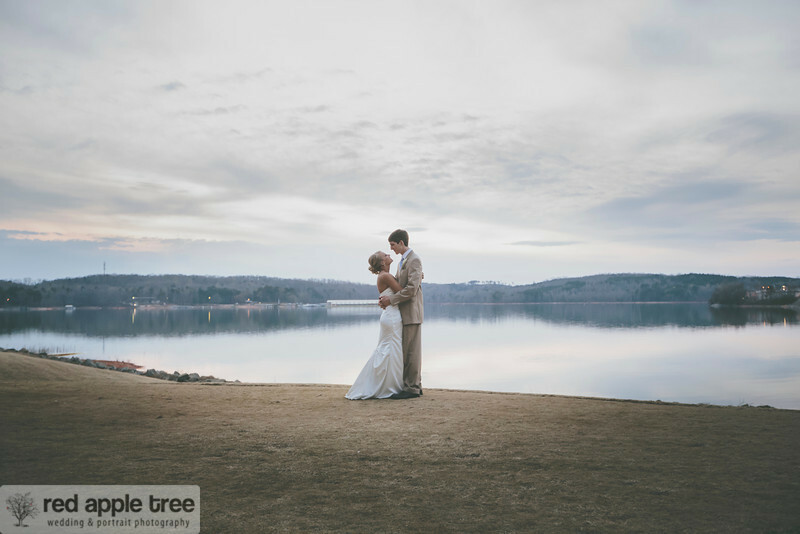 Their photography is beyond beautiful - so make sure you follow them on Facebook too so you can see all of their amazing work. Siara graduated from Clemson in May of 2012 with a degree in Special Education. 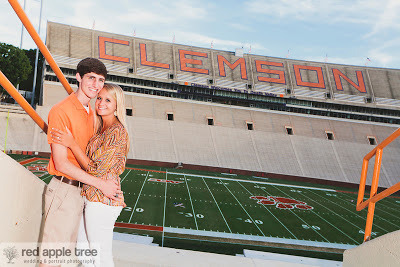 Justin graduated from Clemson in December of 2012 with a degree in Civil Engineering. 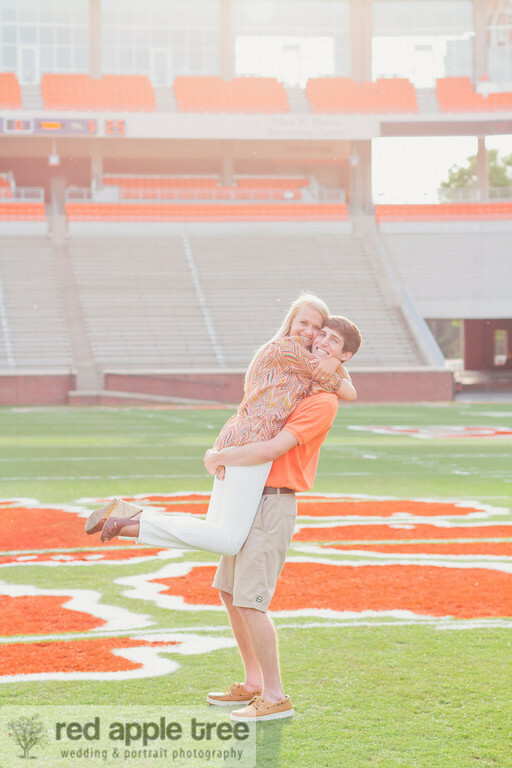 The couple met through mutual friends while at Clemson. 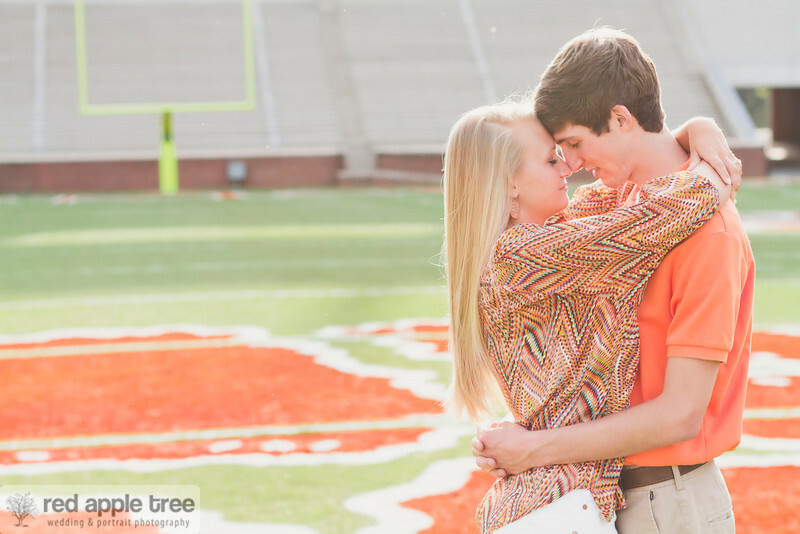 There's a superstition at Clemson, that if a couple walks hand-in-hand down the sidewalk in President's Park, they will get married. 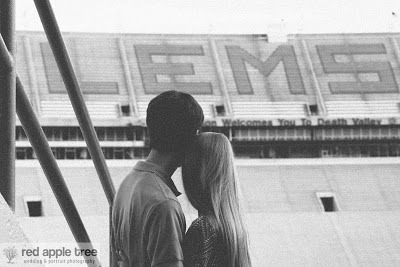 Siara and Justin purposely didn't walk through President's Park when they attended Clemson so they would not jinx themselves. 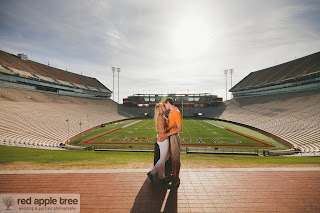 In February of 2012, the couple spent the day watching Clemson play baseball and had plans to meet Justin's parents at Pixie and Bills for dinner. It wasn't unusual for Justin's parents to come to Clemson and take the couple to dinner. 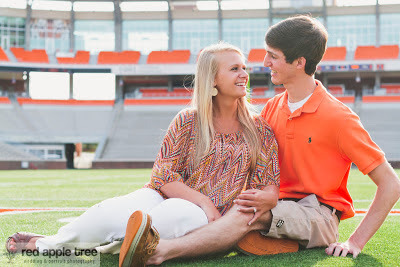 Justin and Siara had some extra time before meeting Justin's parents for dinner, so Justin asked Siara if she wanted to take a walk through President's Park. When they got to the rotunda at the bottom of the path, Justin asked Siara to marry him. 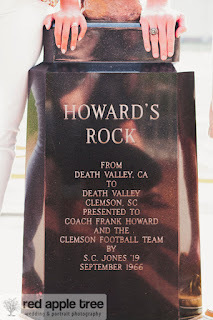 Justin's parents and Siara's mom and brother were all there to witness! 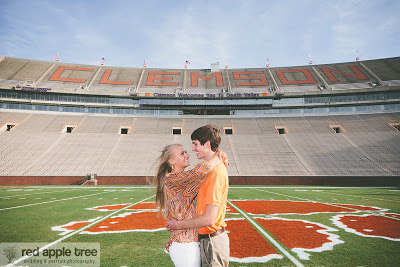 Siara told us that Clemson has played the biggest role in the building of their relationship. 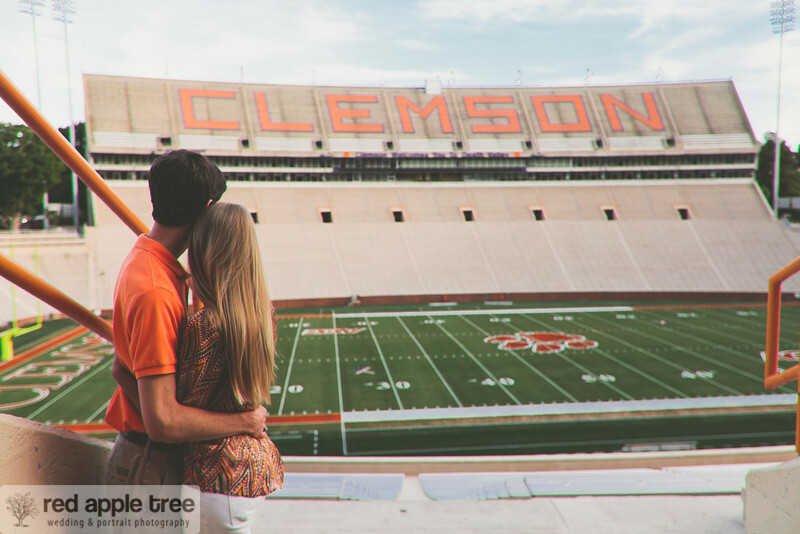 Without Clemson, the two of them would have never met. 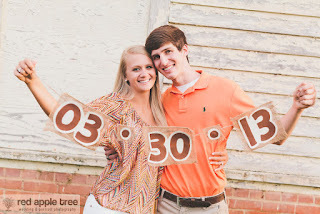 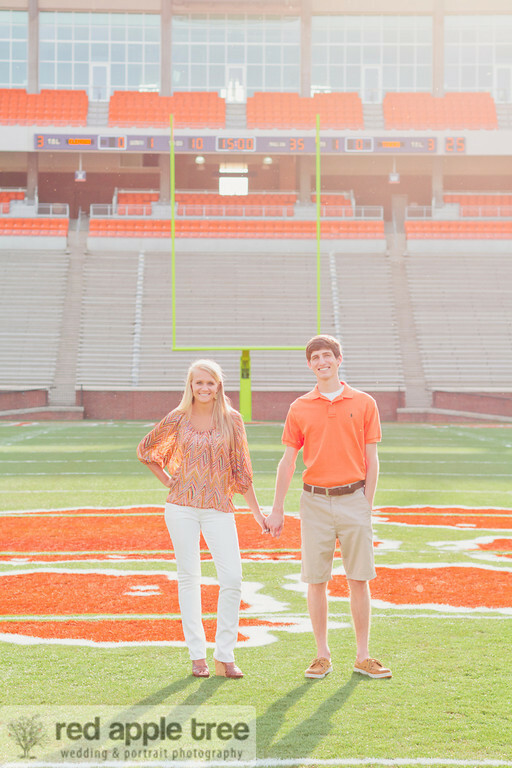 Their first date was dinner at Chick-fil-a and a Clemson basketball game. 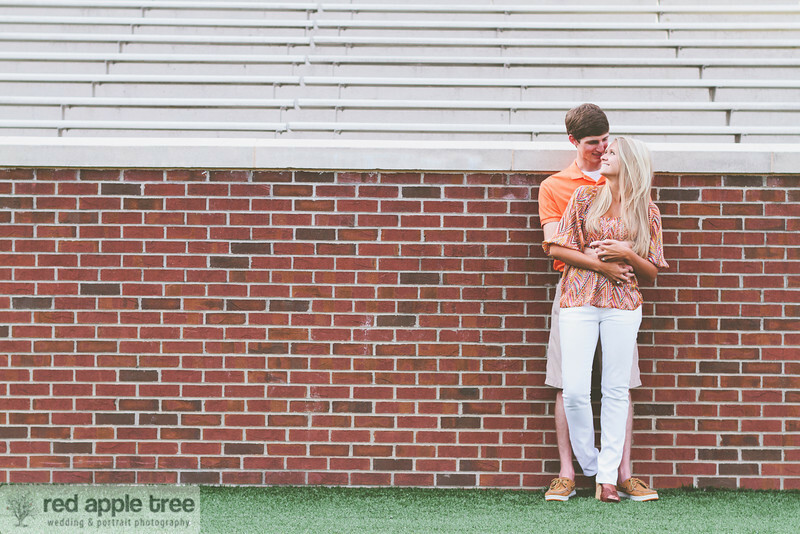 "So romantic! 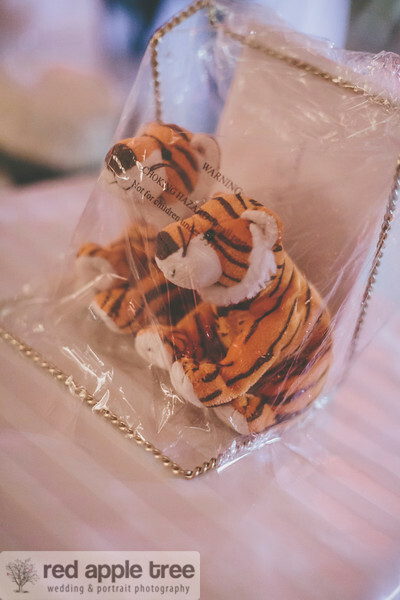 ", Siara told us with a smiley face. 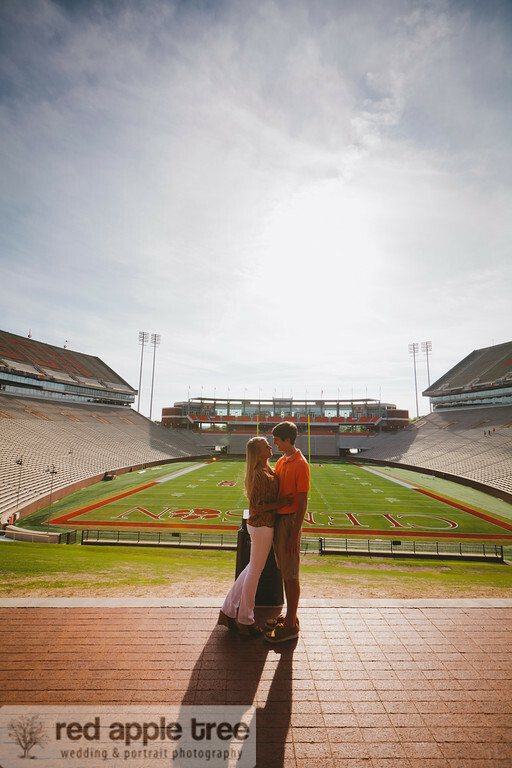 "But actually, it really was romantic to us and still would be our idea of a 'perfect date'!" 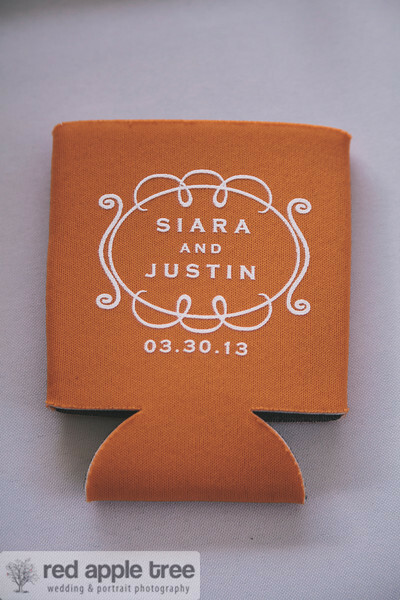 Siara says. 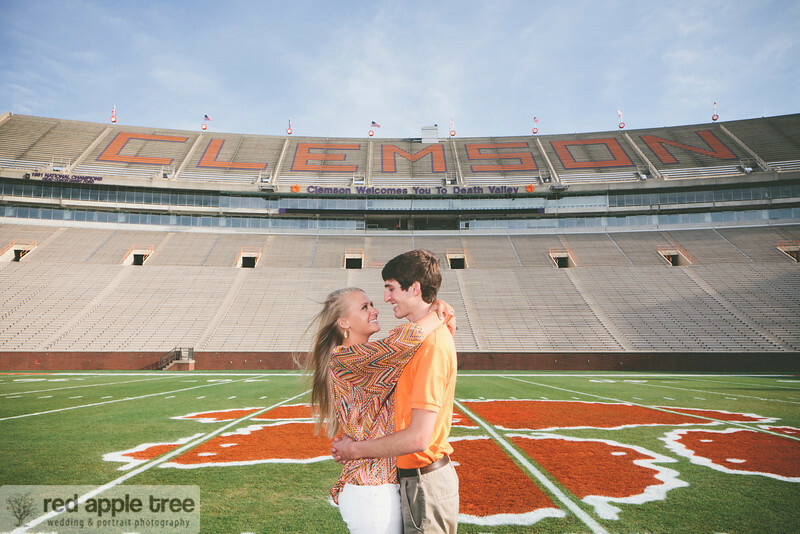 She also told us that Clemson is still a huge part of their daily lives. The couple are football season ticket holders and attend as many basketball, baseball and soccer games as they can. 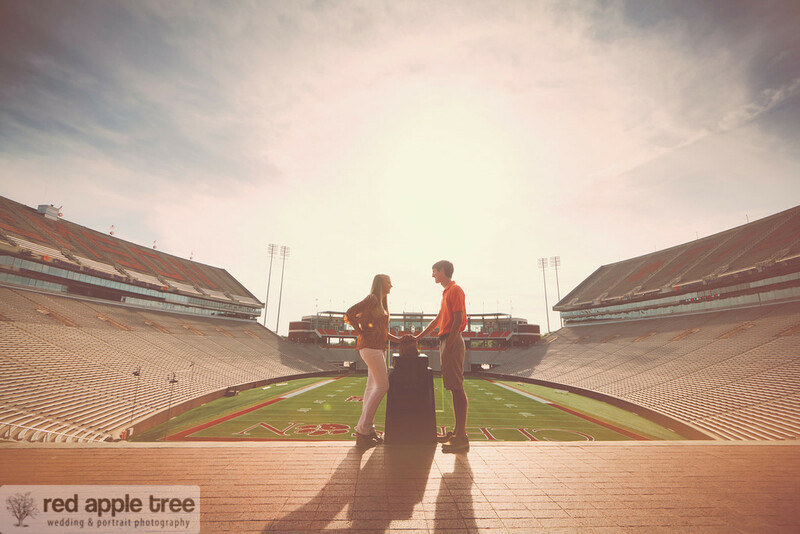 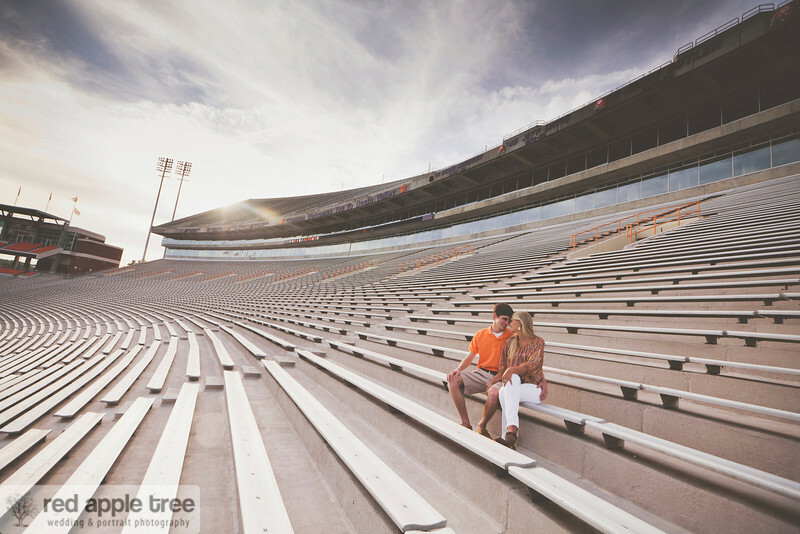 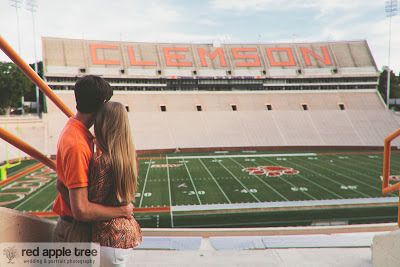 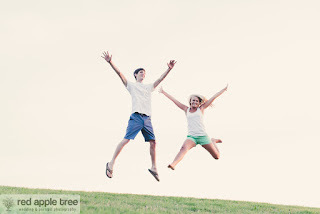 Clemson was the ideal choice for their engagement photos because Clemson played such a huge role in their relationship. 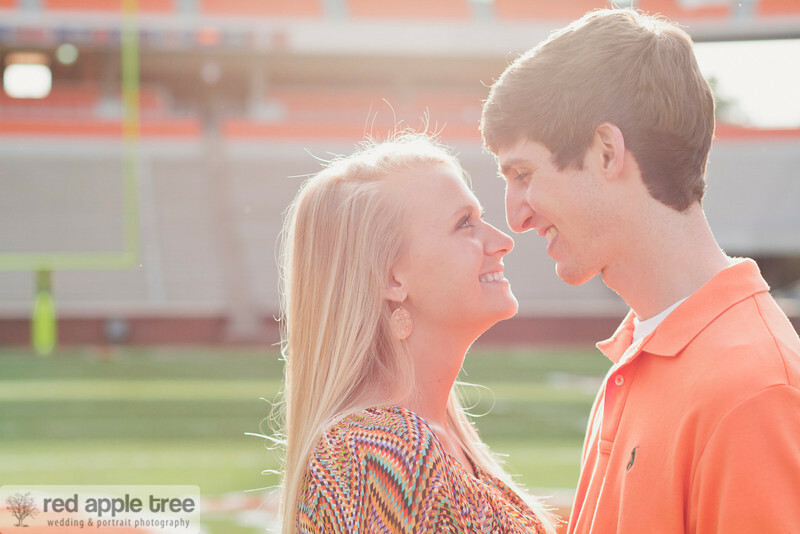 Siara says, "We have spent many (many) hours together building our relationship and growing together on Clemson's campus. Justin is a HUGE Clemson football fan, so I tried to make our engagement session extra special for him and got permission for us to take some of our pictures on the field." 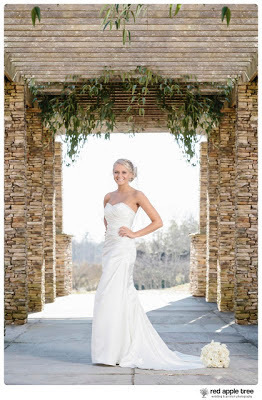 Siara even had her bridal portraits taken in the Botanical Gardens at Clemson. 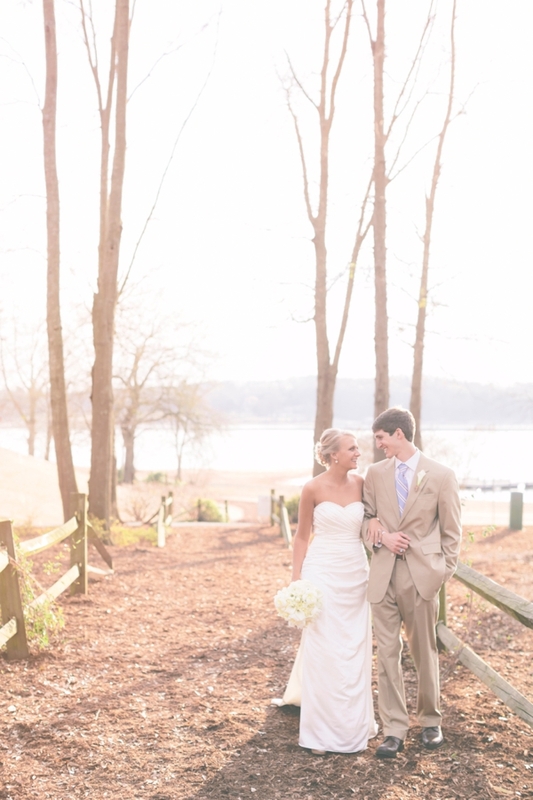 She is a beautiful bride! Siara and Justin were married at Clemson's Madren Center in March of this year. 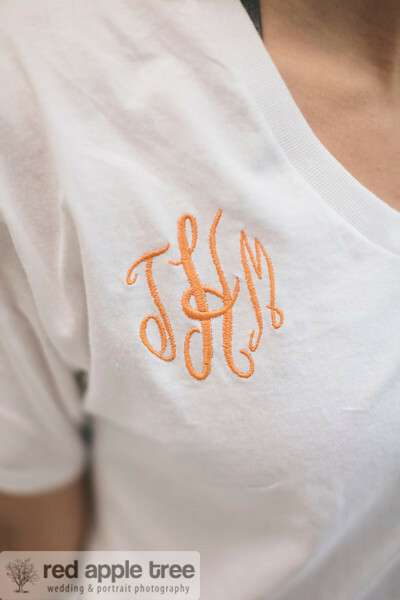 Siara wore orange monogrammed shorts while getting ready for her wedding with a matching monogrammed top. 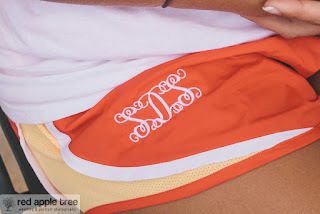 In fact, all of her bridesmaids wore monogrammed shorts and tops - we think that is such a cute idea! 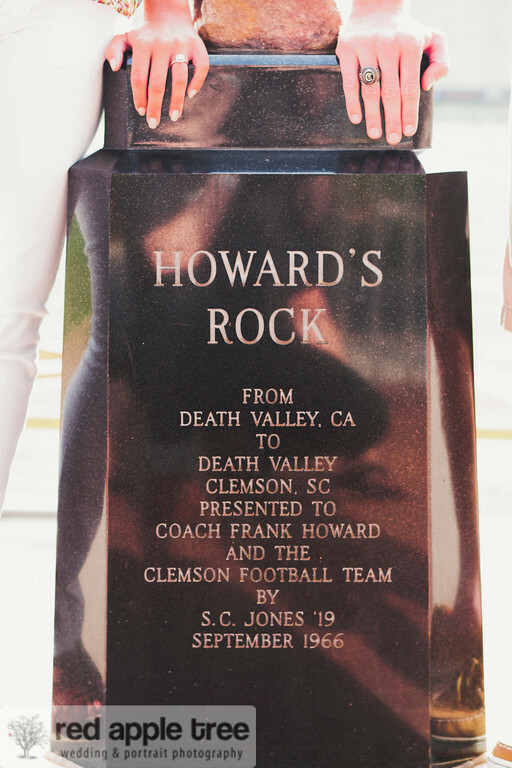 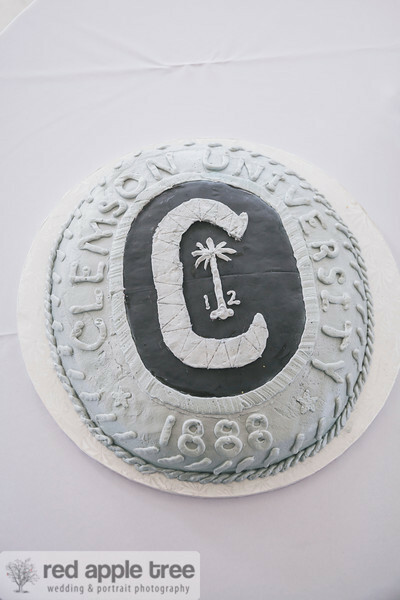 The couple included many Clemson touches throughout their ceremony - including a Clemson ring Groom's cake! 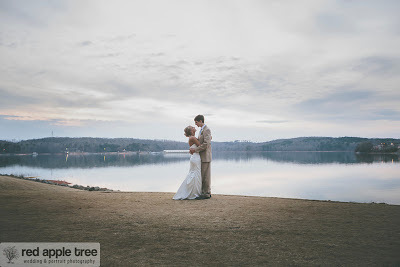 If you get married at the Madren Center, you will have a gorgeous backdrop and scenery, and with a photographer like Red Apple Tree Photography, you get shots like this! 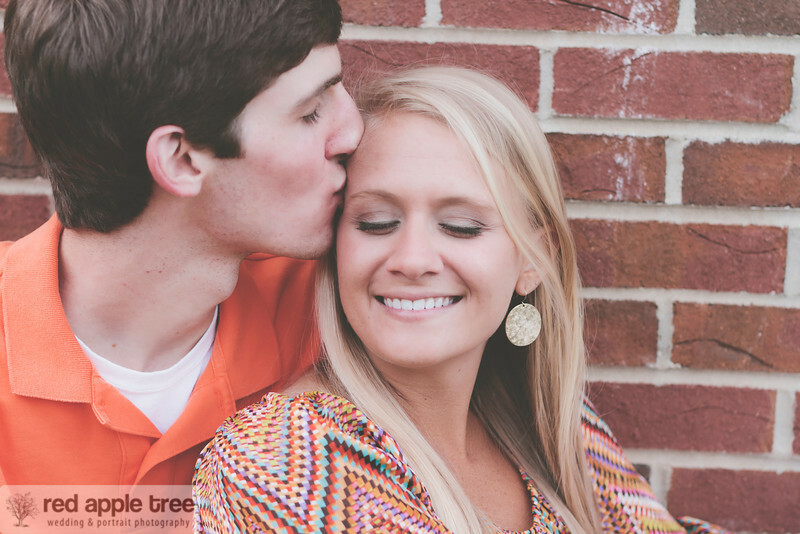 Congrats to this beautiful couple on their recent wedding and on finding true love. 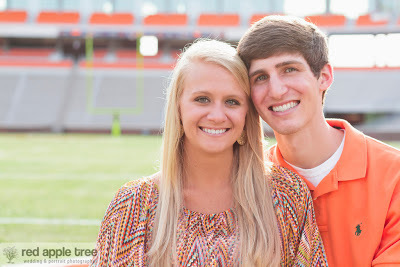 Best wishes to them and a special thanks to them for sharing their story. 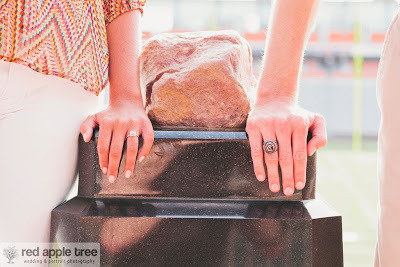 Also, a special thanks to Red Apple Tree Photography for sharing these amazing photos!